Believing that I'm not the only one who likes to play dress up, we are adding some bling to The Primitique. 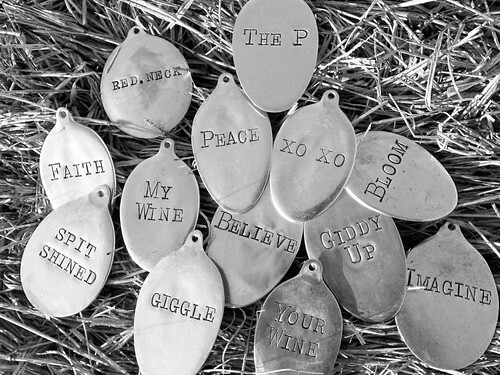 These silver plated spoons-made-pendants make me giggle out loud! The Primitique is proud to introduce Old Soul Studios as our newest Made in America line. Which is your favorite? What I like about these, is I can special order my own words. Or even your own words. These could be worn with a ball chain (provided), ribbon or piece of leather. Good stuff. 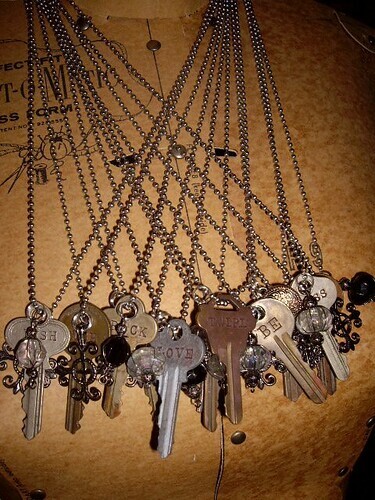 Now, check out these Keyute Pendants, also by Old Soul Studios. (I do love to support creative folks.) What a wonderful way to repurpose! These can be special ordered with fun words, too. I really like "BE". 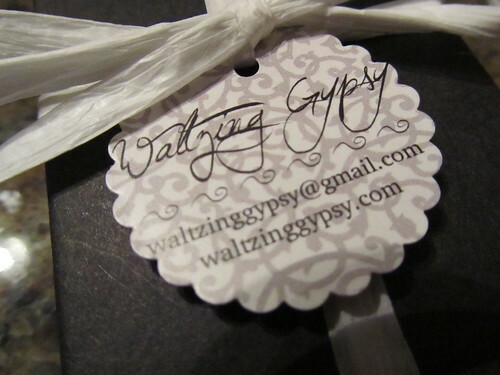 Speaking of jewelry, I would like to introduce you to my friend, Karin, aka Waltzing Gypsy. After viewing her new website, I ordered a pair of earrings. They came packaged so beautifully! 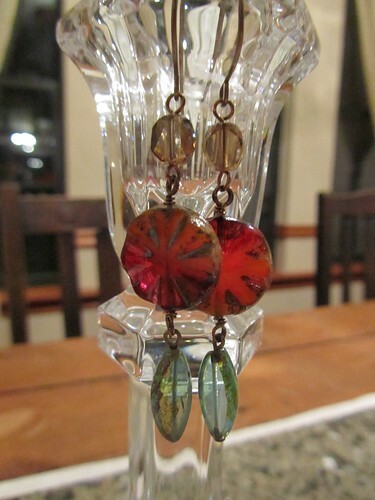 Who here, raise your hand, can resist a pair of earrings called "Sangria Sangria!"? I just love the name and the colors and the textures...and well, I just love 'em! 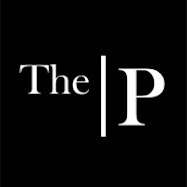 Karin has also started a blog. Be sure to go check her out and tell her I sent ya! I think you'll like everything about Waltzing Gypsy. And by all means, shop! 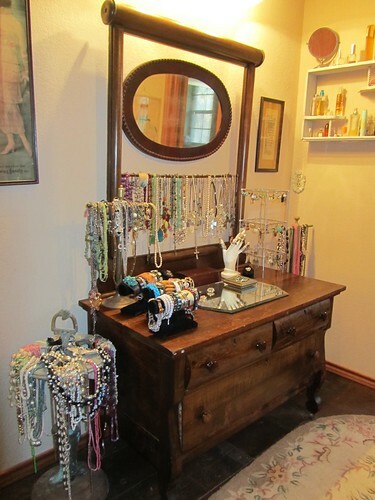 You love jewelry, too, don't you? That's a great photo... what kind of camera are you using? Karin, it's a Canon SX210. David gifted me with it last year and I love it. That photo of your tag/package was taken on my dining room table at night with no flash. No editing or color play. That's how good your packaging is! Thanks! Debra, I hope you're having a great week, too! thank you again for my spoon!!! I'm happy, I'm busy & Someone Won!